plywood hot press machine is the most important machine for plywood making.the pressure can be customized according to the plywood size.500T plywood hot press machine usually is used to produce the 1220*2440mm plywood.After through the cold press machines’ pre-press, you should put the specific boards into the platens of this kind hot press machine. 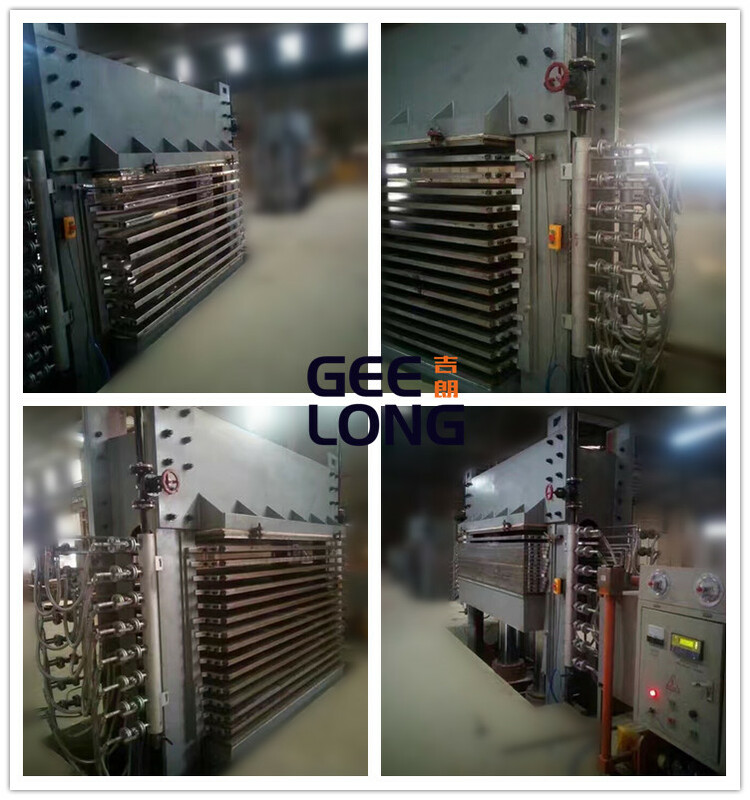 Specific boards will go through the pressure and high temperature provided by hot platen, then it comes out new board. Generally speaking, this machine is a key machine in the whole production line.the 500T plywood hot press have two models,one use the composite frame.one use the welding frame.